We always have mountains of sneakers, loafers and boots in our house over the time. 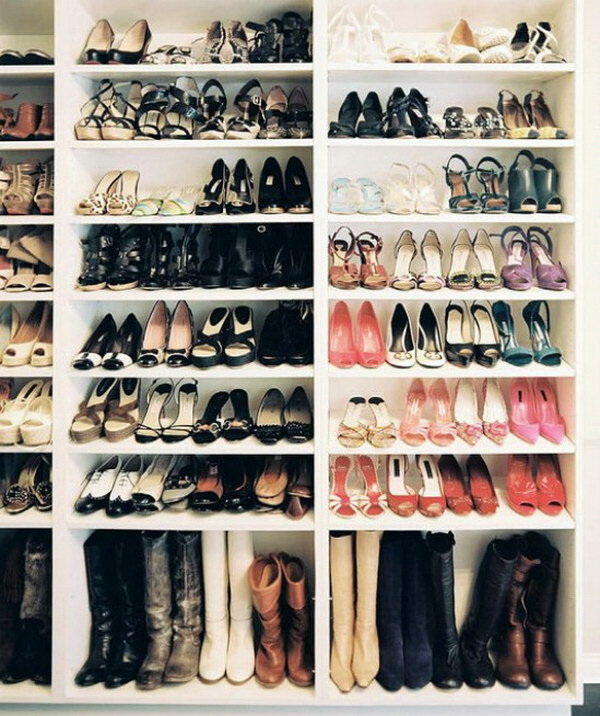 There are so many shoes but the space in our home seems not enough to put them. Storage has become a big problem for us. We should clean and dry our out-of-season shoes and sort them properly and neatly, for easy access and organization. 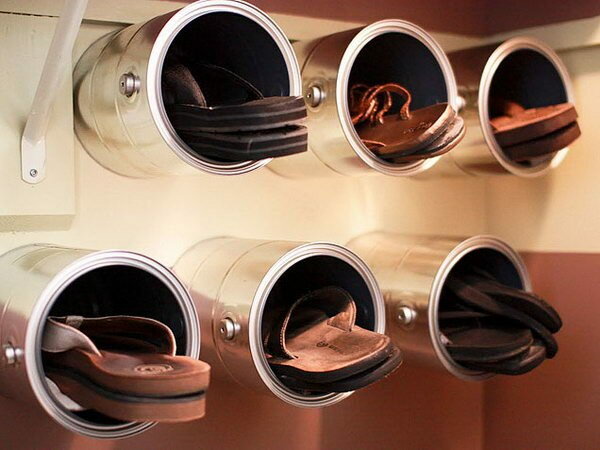 Here are 30 creative ways that you can store your shoes properly and display your favorite shoes around the house. 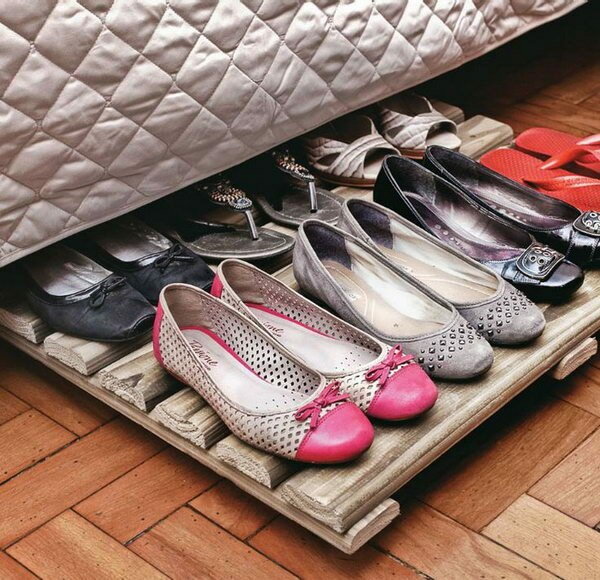 Take time to browse through these great shoe storage solutions and ideas and get more inspiration! This creative bench not only provides amazing storage options, but also offers occasional seating and beautify your home! You can buy here. 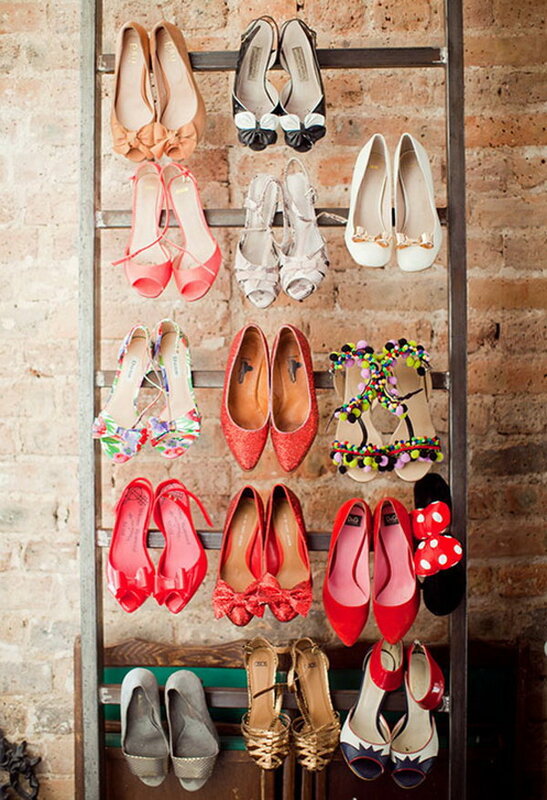 Love this shoe wall display and storage idea! via jennycollier. The easiest shelving system that you can DIY! 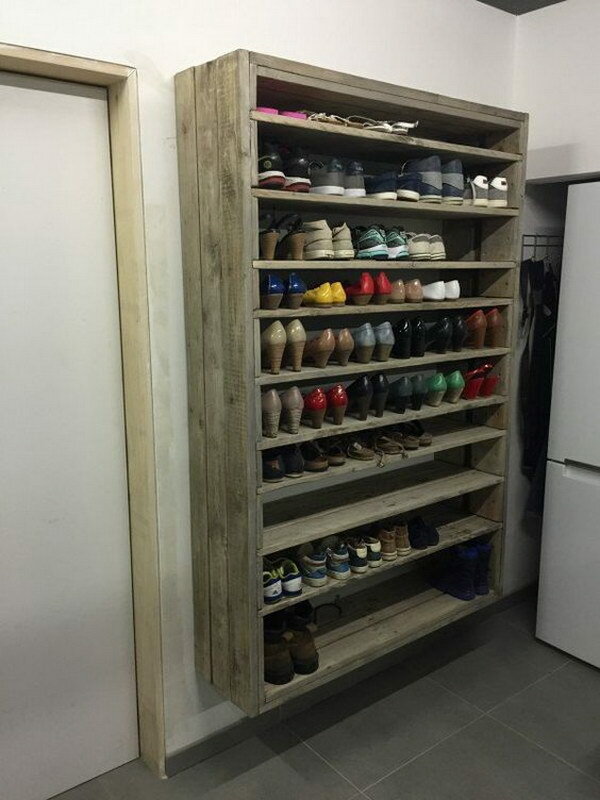 You just need a ladder and five boards of wood and then you’ve got this beautiful tiered rack to display and storage all of your shoes. 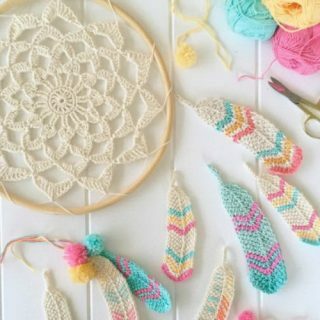 DIY instructions via apairandasparediy. 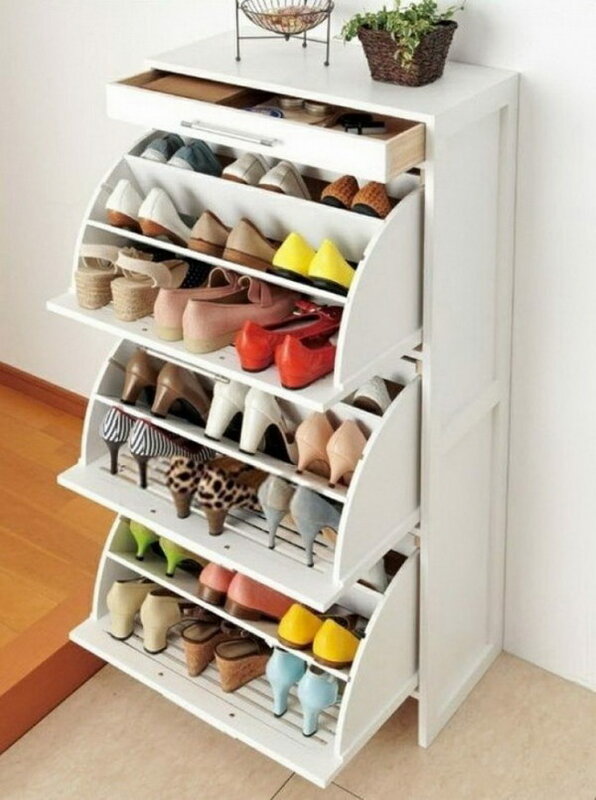 Inexpensive and functional storage solution for your shoe collection. via casa.abril. 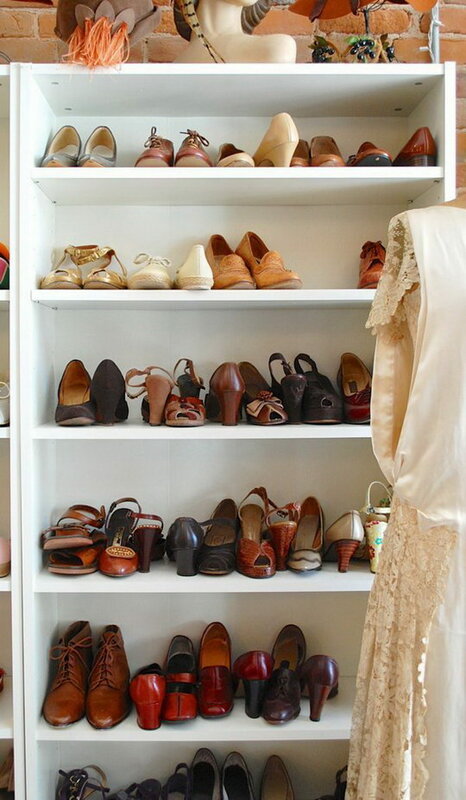 Choosing different shoe storage on the types of shoes. Going taller space on bottom for boots and smaller shelves for holding flip-flops and more. via ariannabelle. It is easy to move around in any room with the wheels. 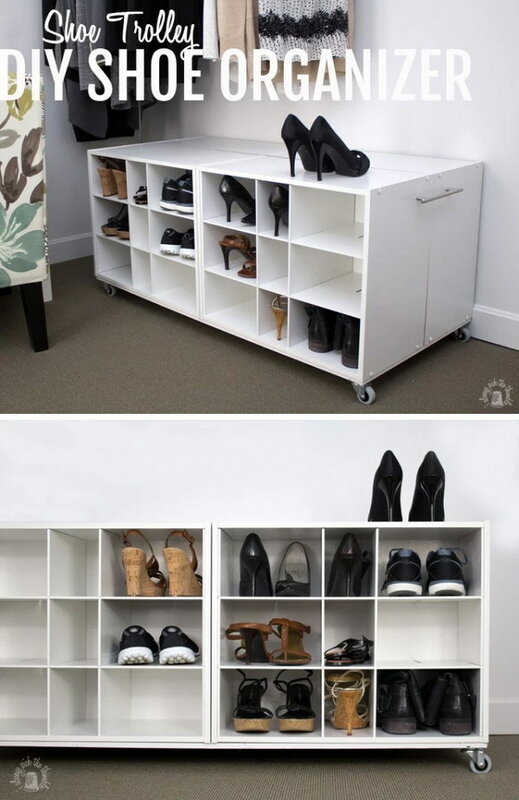 Love this DIY project for shoe storage! DIY instructions via ialwayspickthethimble. 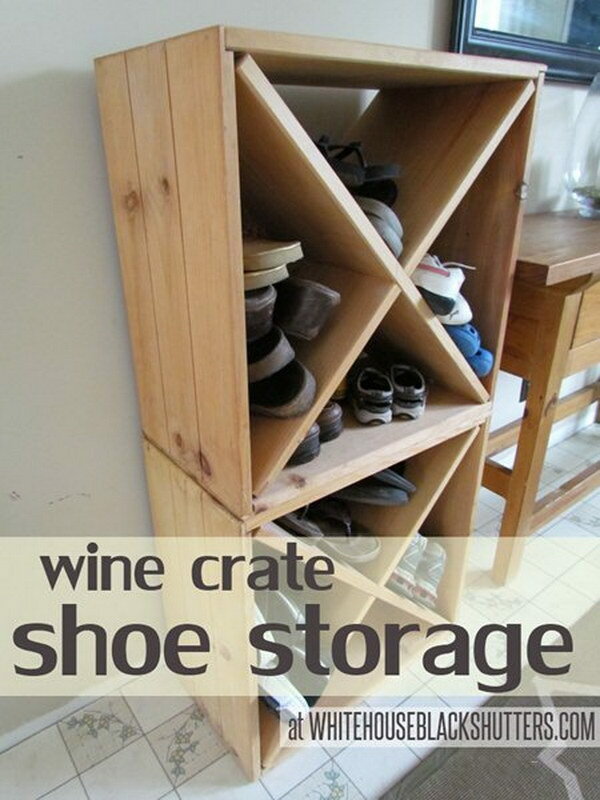 The best DIY to handle your shoes and clothes pile. Very functional pallet wood furniture project for your home! 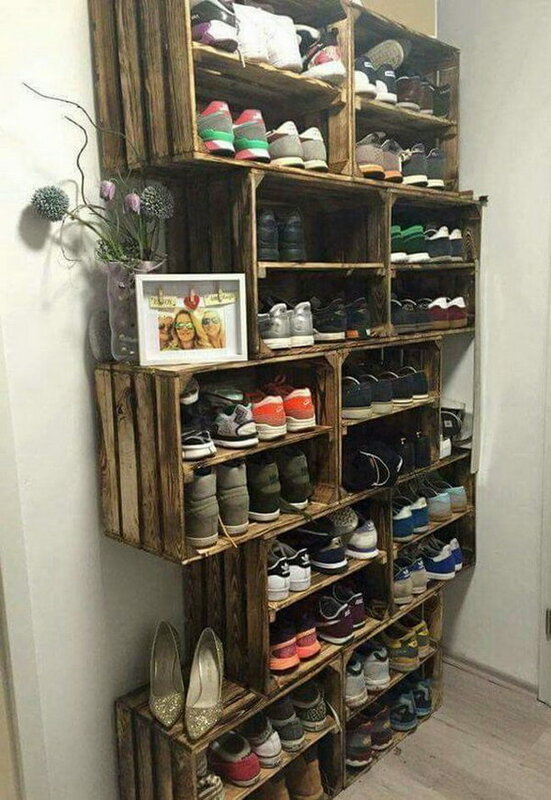 DIY instructions via 101pallets. Make the full use of behind the door space for storage with these DIY floating shelves. They are the perfect size to store your shoes. Nail the paint cans into the wall, and they are the perfect size to store your flip-flops. 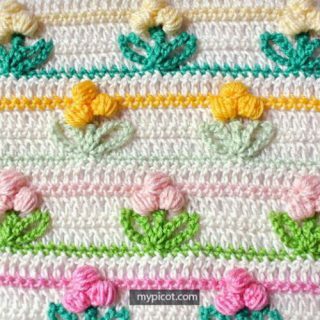 Details via craftynester. 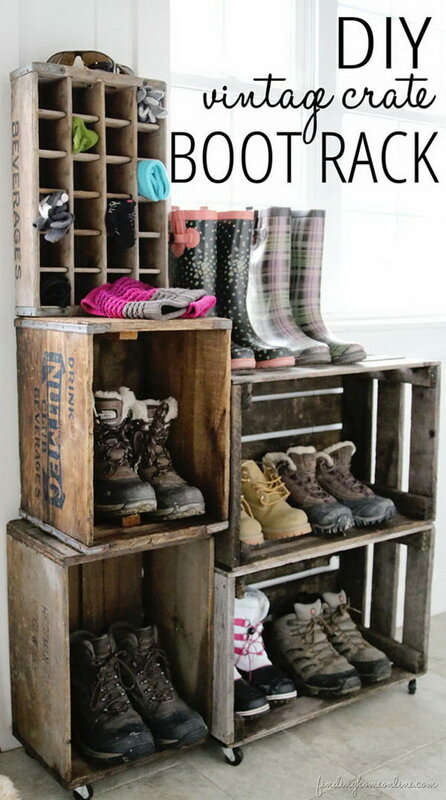 Turn the old wood crates into these useful storage for your boots. 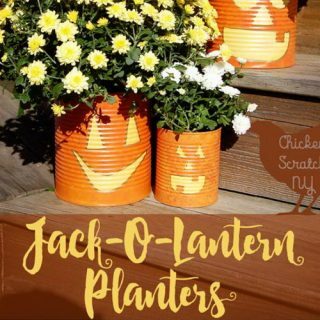 They are perfect in your mudroom or entryway! Details via mrsjanuary. 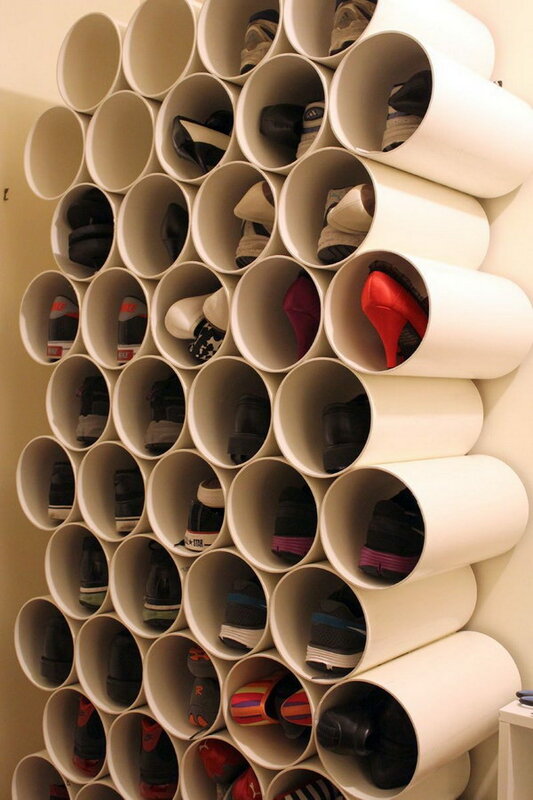 Make these creative shoe racks out of 150mm PVC pipe! They turn out quite well for shoe storage and organization! DIY details via cookielovesmilk. 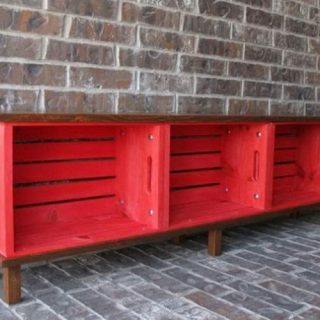 This project is easy to make and will provide you with a cheap storage solution. 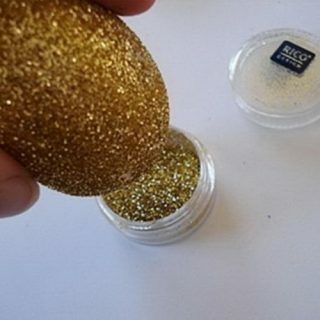 Check out the DIY instructions via lifestyle. Get the DIY tutorial via 1001pallets. Simple, easy to make these peg boards and hung them low on the back of the door for easy access. Get the DIY steps via sawdustgirl. Turning a wire coat hanger into a nice flip flops hanger to hang your flip flops in an efficient and classy way. See the DIY steps via epbot. 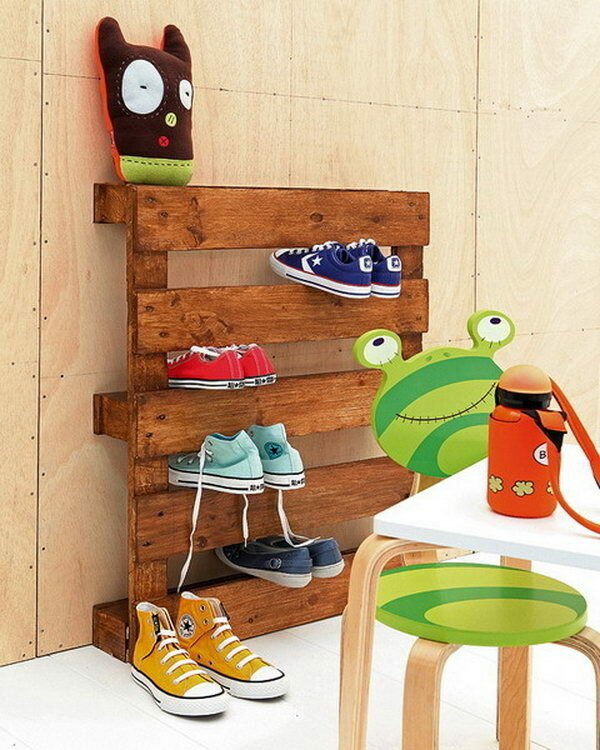 Recycled those wooden pallets into the functional storage solution in boy’s room! Details via shelterness. 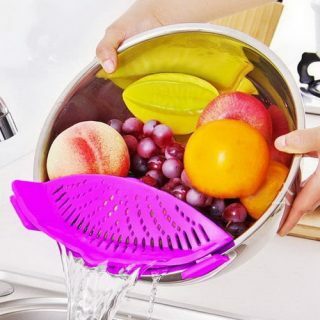 Multi-purpose organizer not just for shoes, it creates much storage for purses crafts, toy, clothing and accessories. The 360 degree swivel hook gives full access to every item. Get it via Amazon. 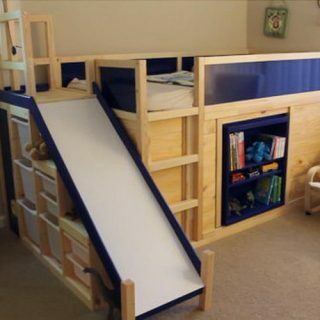 Don’t forget the under stair space in your home for storage solution! 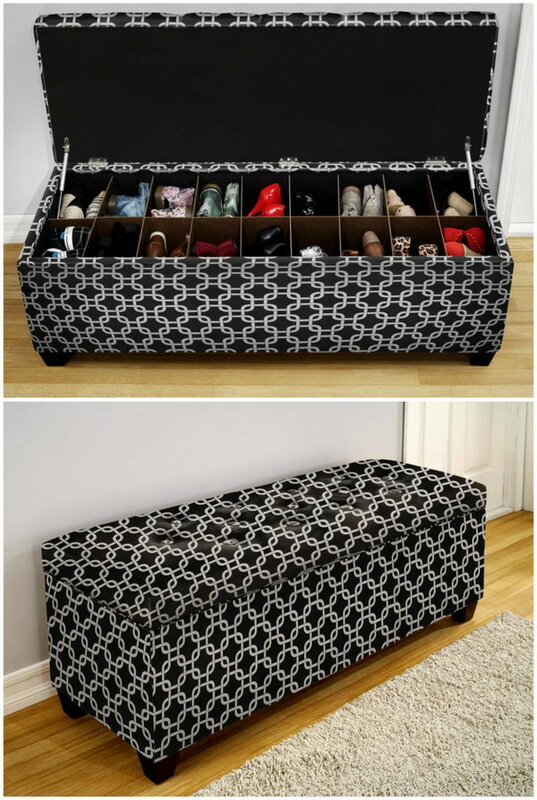 Look at these pull-out drawers, they provide so much storage for your shoes or any other items! Via buzzfeed. 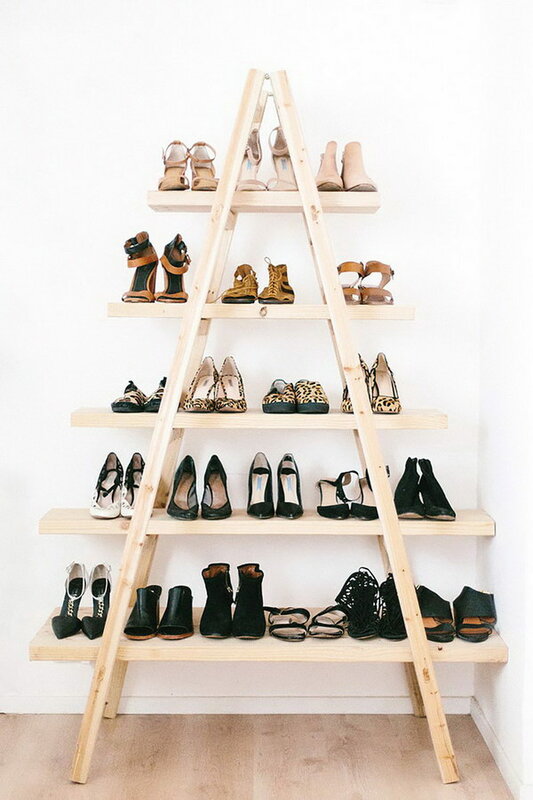 This ladder is the perfect option for storing heels! Details via ariannabelle. 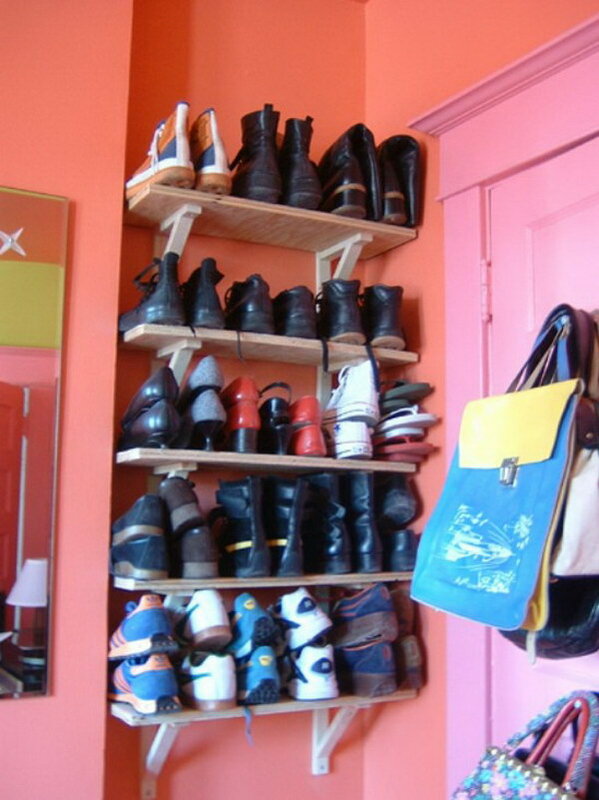 Make your shoe rack far more practical and functional at the same time using the crown molding. More details via alittlecleverandcatchy. 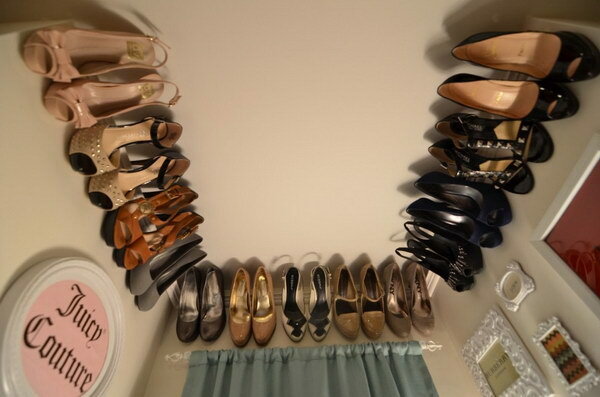 Hold your heels up and out of the way with this creative DIY heel wall mount. It is easy to access and actually look quite nice at your home. Details via atticmag. IKEA again! 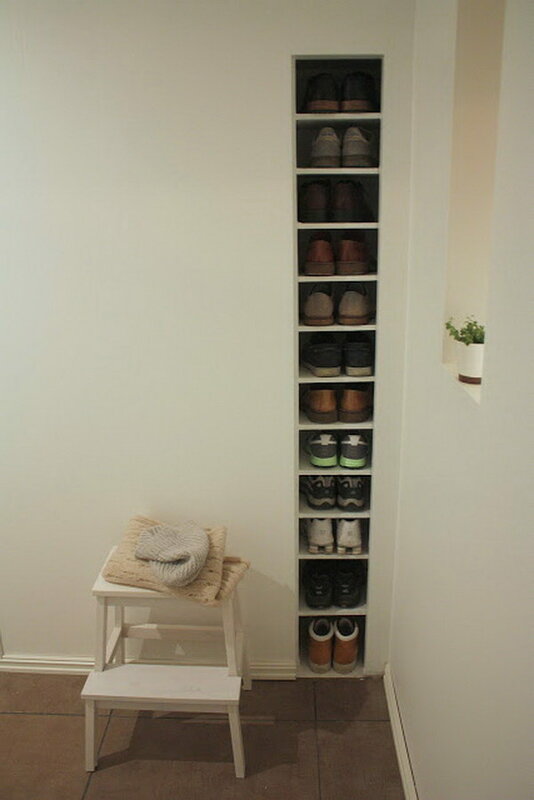 This time, IKEA bookcase are used for a great storage solution for your shoes! Details via apartmenttherapy. 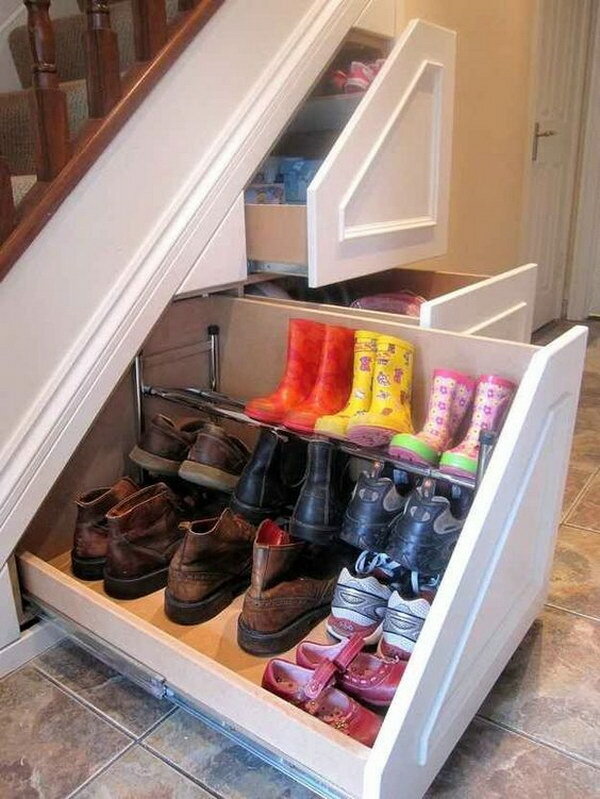 A way to tuck away a bunch of shoes right inside the front door with this built-in shelves! Details via urbanretro. 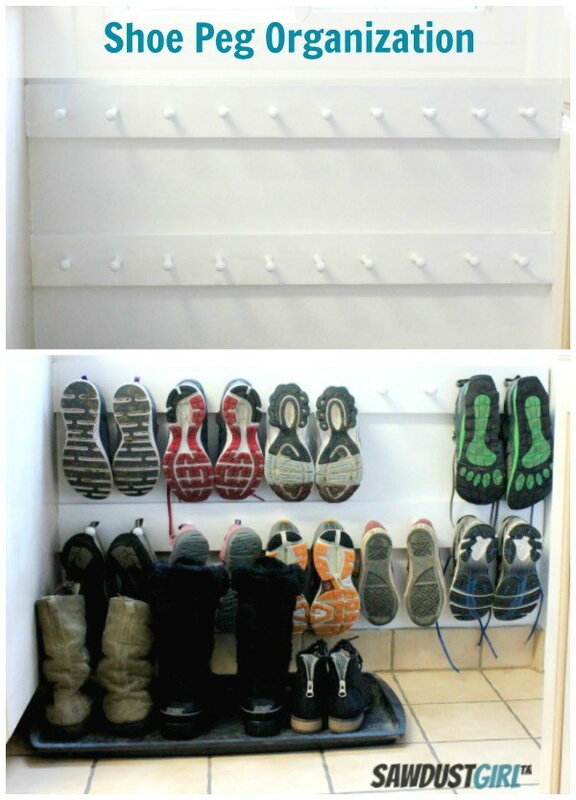 Make these creative shoe hangers and keep your shoes in good order and easy access when you need next time! DIY instructions via heywandererblog. 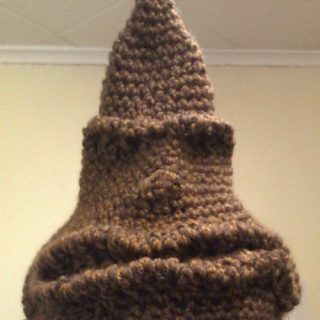 Check out the DIY instructions via aloyallove. Add some rows of tension rods inside a deep drawer to place your shoes. via apersonalorganizer. 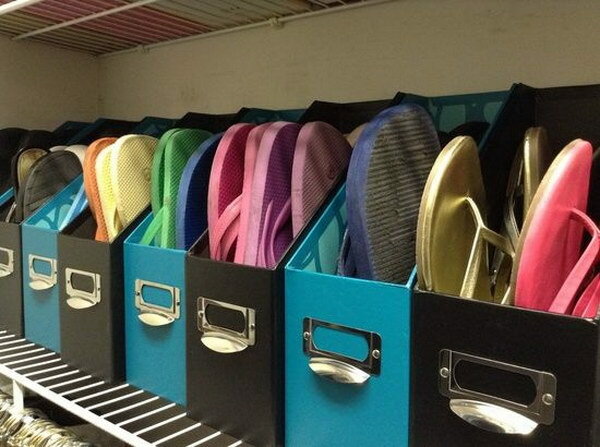 Recycle magazine holders to store your flip flops! Looks so great and easy to access! via thisga. 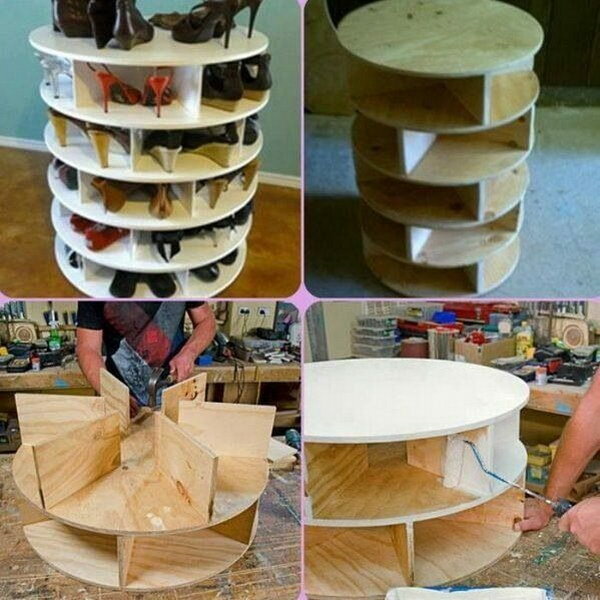 Keep your shoes organized with this creative cabinet. Get more details via livesimplybyannie.